Its 14th of Feb, the Valentines day, but the Delhi temperature have reached to it's extent. Delhi Chief Minister, Mr. Arvind Kejriwal, who is the head of the party that has came into existence in less than a year and have gained enormous public support that it bagged 27 seats in Delhi Elections 2014. 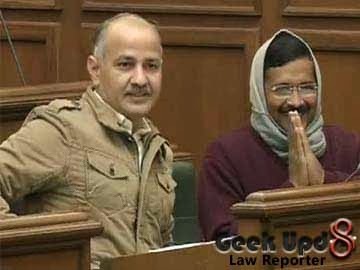 Kejriwal and his party members were expecting and have told media earlier today, before they went to the Delhi Assembly, that BJP and Congress won't let them present the Jan Lokpal Bill. And perhaps this is what happened. Mr.Kejriwal have said earlier that,"We are ready to wait and watch. If they continue to disrupt the House, we are ready to give them more time and extend the session by few days to ensure the passage of the Bill. But if they defeat the introduction of the Jan Lokpal bill and stop it from being passed, the government will resign. Later in the day, when the Delhi CM, started to present the bill in the assembly, the opposition party BJP and Congress collectively started protesting against the bill. CM was not allowed by them to present the bill. Even then, Kejriwal in his speech cleared that, he sees that speech as his last in the Delhi Assembly, thus making it clear that he was going to resign. He also said that he respects the constitution and not the orders of central government. And finally today, at 7:47 PM, Arvind Kejriwal declared that he will resign as Delhi CM. It didn't took him long to decide, as compared to most other ministers. Before the resignation of the CM, nothing was certain. But now the scenario has become clear. Delhi is going to get new elections soon. They would be having Congress party (who partly supported AAP party, but decided not to support Jan Lokpal Bill without any clear reason), BJP (which was largest seats winning party in prior elections) and AAP party (which proved themselves in this short span of time). The power is ofcourse in the hands of people. And this is to be seen, whom they hand over this power in coming elections. 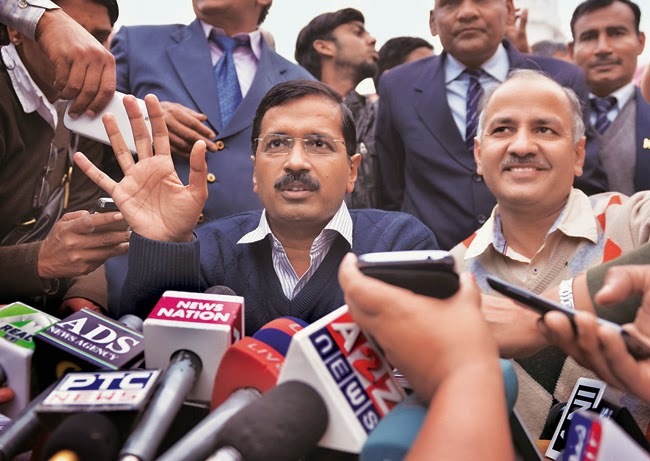 Many were saying that Governor may force Arvind Kejriwal to run the government till the outset of Lok Sabha Elections. But this dilema came to an end, when Arvind Kejriwal resignation was accepted and at the same time approval for president rule in Delhi was given. As of now there has been no statement from party, but it seems to be pretty clear that Arvind Kejriwal will be contesting for Lok Sabha Elections and he will be the Prime Ministerial candidate for the party. There is lot more to come in the coming elections, that we are going to witness. We are glad that arvind sir took this decision and we support him in each and evey way. We are coming in lok sabha elections , and we'll win sir.